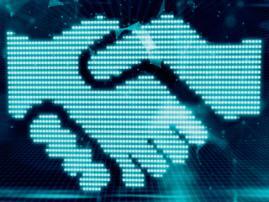 Open source blockchains will always have an advantage over private blockchains, as the creation of public blockchains will permit greater innovation, believes the founder of Bitcoin Foundation and fintech columnist at Forbes, Jon Matonis. We talked to Jon on the eve of Blockchain & Bitcoin Conference Tallinn, where he will be one of the speakers. BBCT: Mr. Matonis, what do you think is the main motivation of blockchain developers to unite into consortiums? J.M. : There are several motivations but probably the strongest motivation is an attempt to position their consortium as a more respected, more governed standard that they can modify to suit the particular requirements. Of course, this is a misguided attempt because it results in a neutering of The Blockchain's primary advantages – permissionless, open, and secure. BBCT: In your view, what will be developed faster: open source blockchains (as the result of cooperation among dozens of developers) or private blockchains? J.M. : Open source blockchains will always have an advantage over private blockchains both because of the attraction for a worldwide army of developers. Besides, its open nature will permit greater innovation. Additionally, among the open source, public blockchains, early to market blockchains with a native token will possess a distinct advantage due to the powerful network effect. 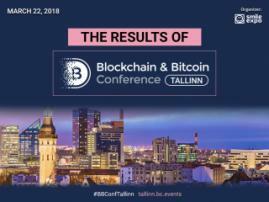 BBCT: The topic of your presentation in Tallinn is: Blockchain Consortia Lead Back to Bitcoin. Could you, please, explain what "Lead Back to Bitcoin" means? J.M. : "Leading back to Bitcoin" essentially means that to the extent that private blockchains are able to connect related participants in a decentralized manner, they will ultimately have a need and desire to communicate with the rest of the "world" at which point they have to emerge from their cloistered environment and interface with the world's largest and most secure public blockchain. BBCT: How would you assess the development of cryptocurrencies and blockchain technologies in Estonia against other countries? J.M. : I'm sorry but I do not know that much about the details of the local Estonian efforts. 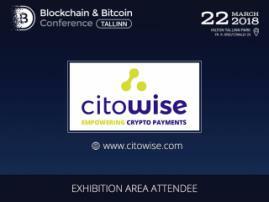 Sadly, I believe that the government takes a negative view of Bitcoin and cryptocurrencies due to lack of understanding and I hope to change that by participating in this Tallinn Blockchain event. BBCT: Should we wait for a moment when cryptocurrencies will dominate over traditional money? If we should, then what is the time limit? J.M. : Cryptocurrencies will co-exist with national currencies for a long time and this is perfectly natural. An independent unit of account outside the control of governments is a positive force for society and we should embrace it. Regarding the ultimate time limit for waiting, I would only say that the last and final bitcoin will be mined sometime in the year 2140. On March 9, Jon Matonis will present a topic “Blockchain consortiums: leading back to Bitcoin”. Register to ask the speaker your question.